The National Catholic Bioethics Center mourns the loss of Archbishop Zygmunt Zimowski, President of the Pontifical Council for the Pastoral Care of Health Care Workers, who died July 12, 2016. He was a scholar, a true pastor, and a gentle soul who was filled with concern for the sick and the suffering. Archbishop Zimowski attended the NCBC Bishops’ Workshop in Dallas, Texas, while he was the Bishop of Radom, Poland (2002–2008). He was made President of the Pontifical Council in 2009. 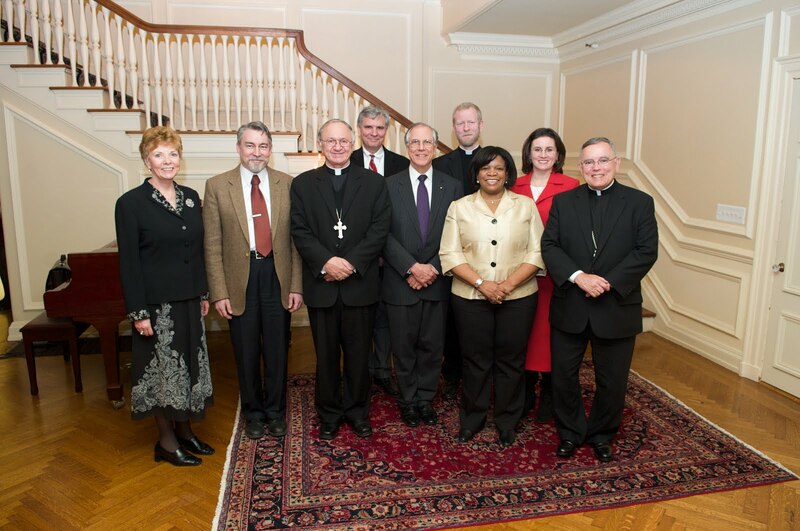 In 2011, Pope Benedict XVI appointed Dr. John Haas, President of the NCBC, as a consultor to the Council, giving him the privilege of working closely with the Archbishop. Zimowski in his Rome office. Archbishop Zimowski was a strong advocate for the ill and the marginalized and every year would organize international programs for the World Day of the Sick, the Feast of Our Lady of Lourdes. He had particular solicitude for those suffering from leprosy and autism. He also insisted that access to health care was a human right and should be made universally available. In 2012, the Council’s World Day of the Sick celebration took place in Philadelphia at St. Charles Borromeo Seminary and the headquarters of The National Catholic Bioethics Center. Archbishop Zimowski was a very warm and pastoral priest, and when he came to Philadelphia he made one special request of Dr. Haas—he wanted to visit the Children’s Hospital of Pennsylvania (CHOP). He arrived at the secular hospital in his purple-trimmed cassock and pectoral cross, which was quite an unusual sight in that setting. He blessed all the children he met and prayed with their parents. When he saw a blonde-haired, blue-eyed little boy in a wheel chair with an intravenous bag hanging above his head, the Archbishop blessed him, prayed over him, kissed him on the top of his head and handed him a prayer card. As the Archbishop moved on, the nurse starting pushing the boy in the chair . . . followed by his Amish parents, his father with his cropped beard and straw hat, his mother with her bonnet and long dress. The mother had tears in her eyes but a smile on her face as she followed her son. The Archbishop proceeded to visit more children in their rooms, blessing them and praying with their parents. While in Philadelphia, the Archbishop also met with leaders of Catholic health care from across the country at The National Catholic Bioethics Center. Among those in attendance were Dr. Anthony Tersigni, CEO of Ascension Health and board member of the NCBC, and the Most Reverend Charles Chaput, OFM Cap., Archbishop of Philadelphia and also a member of the NCBC board. The passing of Archbishop Zimowski is a true loss for the Church and for the Pontifical Council for the Pastoral Care of Health Care Workers. However, we are confident that he will continue his solicitude and his prayers for us now that he is with Our Lord. May he rest in peace.